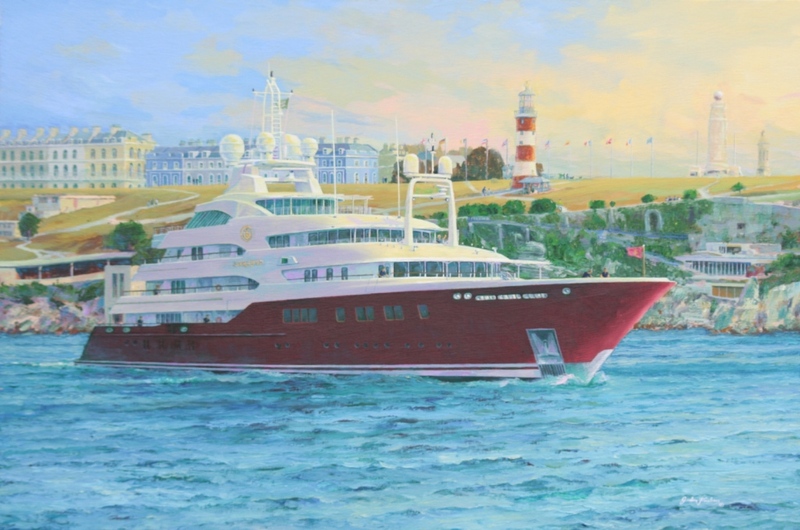 “many thanks for producing a truly beautiful painting of ‘Sarafsa’ for our End User” ~ Alison Bushell, Client Manager, Devonport, Royal Dockyard Ltd, Devonport, Plymouth. By Gordon Frickers, measures 61 x 91 cms (24″ x 36″) oils, sold. + 44 (0)1865 52 2435 or use Skype. You could commission a painting of this quality, phone, ask how. 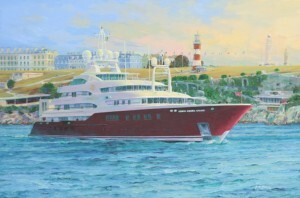 The painting like the ship was produced in great secrecy intended as a gift from Devonport Royal Dockyard to the owner of Sarafsa.